Four Seasons, originally developed for shire horse, is a gentle herbal preparation made from 100% natural ingredients, used and trusted for hundreds of years, and tolerated by even the most sensitive animals. Four Seasons will not adversely affect the protective natural gut flora. Historically, animals were able to roam freely and forage from their habitat, self selectecting what was needed to support various aspects of their health, including that of the gut. The combination of herbal and homeopathic ingredients in Four Seasons, fed on at least one day each month, helps create subtle changes within the gut and acts as a replacement to natural foraging. A variety of reasons are causing many horse owners to take a more natural approach to animal welfare. If you have any concerns about your animal, always consult a qualified Veterinarian for advice. Give 25ml on one day each month. Returning Customers: Due to regulatory requirements, Four Seasons herbal tincture is now described as an 'Intestinal Hygiene Control' product. Please be assured that the formulation of this product has not been altered in any way. Strict EU guidelines, governed in the UK by the Veterinary Medicines Directorate, restrict the use of words and information that may portray a product as a registered medicine. In order to comply with these regulations a number of our customer reviews have had certain words removed. I have been using Four Seasons for about eight months. I monitor my horses' worm burden by faecal egg count every three months, and my older horse has generally had very low worm counts, although I did need to dose him for tapeworm in the Autumn after a blood test showed a raised antibody count. My younger horse is a rescue case and therefore more vulnerable. The first time I used Four Seasons he had a mild colic attack, so I gave him the dose for seven days, which seemed to settle him down. His next worm count was very high so he was given a wormer, but after that the levels have reduced. I would say that Four Seasons probably helps to promote worm resistance, but regular monitoring is still essential. 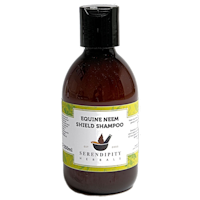 To keep your horse comfortable, use NEEM SHIELD SHAMPOO. 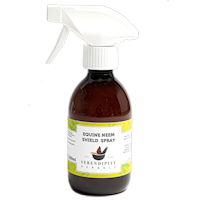 Harnesses the intrinsic properties of neem to improve the coat condition and general comfort of your horse.